Great Preston ended their season in the All Rounder Bradford League’s Conference with a 73-run defeat against promotion contenders Azaad. Up against opponents who had to win to have any chance of going up, it was tough for Preston, who have finished in sixth place. Opener Zaeem Zulfqar put Azaad on course as he hit 16 fours in a knock of 100. They went on to total 221 with Richard White proving the pick of the Preston bowlers with 4-49 and Luke Kane claiming 2-35. Preston were quickly reduced to 36-5 in their reply and although they kept battling they were all out for 148 with Imran Mahboob (3-24), Waheed Ahmed (3-26) and Kashif Najam (3-37) doing the damage and Stuart Ruddick top scoring with 48. Finley Rooke claimed an impressive 7-23 as Methley seconds ended their season on a high in the Second Teams Championship One. After flirting with relegation Methley have played well in the later stages of the season and successfully avoided the drop. Their final day victory was never in doubt once they had bowled out opponents Carlton for 74. 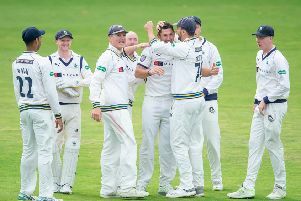 They went on to clinch a seven-wicket success with Josh Neal (35no) top scoring. Townville seconds rounded off their Second teams Championship Two season with an eight-wicket win over Birstall, who they bowled out for 103 with Luke Slater taking 4-30 and Luke Jaques 3-28. 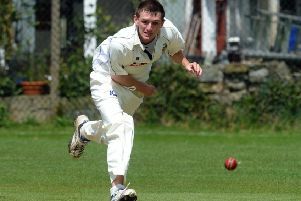 Ben Collinson (44) top scored for Townville who have finished in fourth place with Great Preston seconds in sixth. In the Premier, Methley ended in fifth and Townville eighth.